With the recent announcement by Google that users will soon be able to upload any type of file to Google Docs (up to 250MB each, with 1GB of free storage, additional storage for a fee), I figured I would revisit the topic of cloud file storage. There are a variety of services out there, all with different options and features. SugarSync - This is my main service. 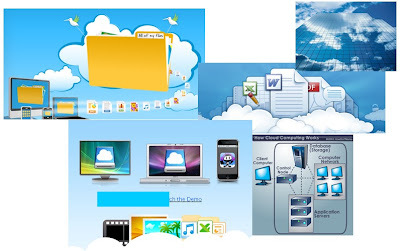 What's great about Sugarsync is that you can have it back up your files on their server, and sync the files among multiple computers. So, my files on my home computer are synced to my laptop and my school computer. You can also access these files through any web browser, and there are apps for smart phones. You can even access them with a mobile web browser if you don't have an app. You get 2GB (UPDATED 5GB free as of 11/10/10) for free and there are fee based plans with more storage (next level is $4.99/month for 30GB). I can access my files anywhere, on any device, which makes it very convenient. You select the directories that you want to be backed up. The "Magic Briefcase" is the directory or folder you pick to be automatically backed up and synced. As soon as I save a file to that directory, it is uploaded to their servers. Zumo Drive - is another sync and sharing service with similar features to Sugarsync and Dropbox. I use this also. A great feature is being able to stream music from Zumo Drive to your mobile device. There is a free 2GB version. Zumo Drive actually works and looks like another drive on your computer. 25 GB is $6.99 / month. What do you think about cloud storage? Are there other services that you would recommend?